Poster from 1934 promoting Joseph Beer's first opera "Der Prinz von Schiras" with librettist Fritz Lohner-Beda at the Zurich Opera House. Beda became his agent and closest friend; he perished in the Holocaust. Joepsh Beer's opera "Polnische Hochzeit" (Polish Wedding) was the composer's major breakthrough in the early 1930s. This is a major 20th-century composer. If the events of the Holocaust had not happened, his name would be recognized in the world of opera. 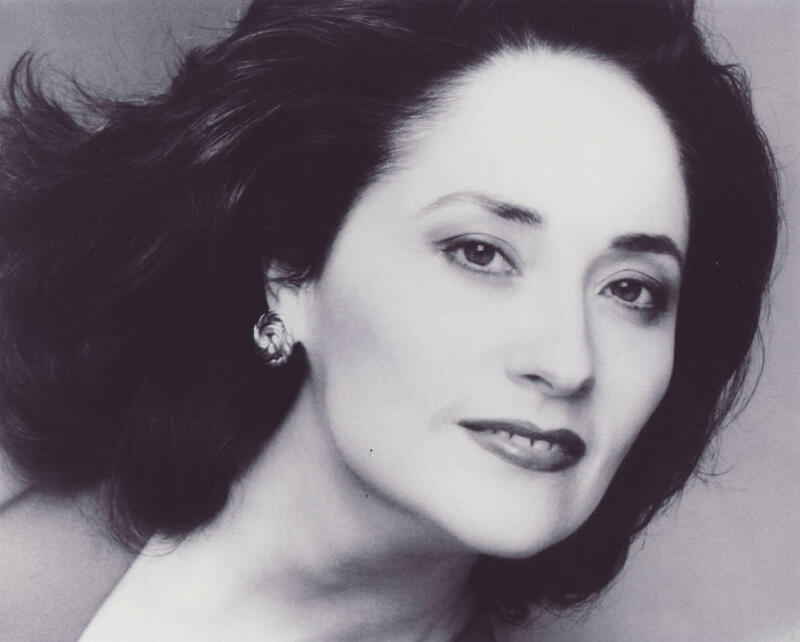 Soprano Beatrice Beer shares the stories of her father's life and music, in conversation with WRTI's Susan Lewis. Beatrice Beer (fourth from left at bottom) pictured with her father (second from left in back), mother (third from left at bottom), her sister (second from left at bottom) and the Gilbert family. Susan Lewis: With sweeping melodies, romantic arias, and a spirited chorus, Polish Wedding has a dashing hero, a beautiful maiden, and obstacles to keep them apart. Soprano Beatrice Beer learned of it only after her father died in 1987. Beatrice Beer: I remember discovering the gorgeous duet in Polish Wedding, (Polnische Hochzeit)—called "Schenk mir das Himmelreich" translated "Grant me the kingdom of heaven." 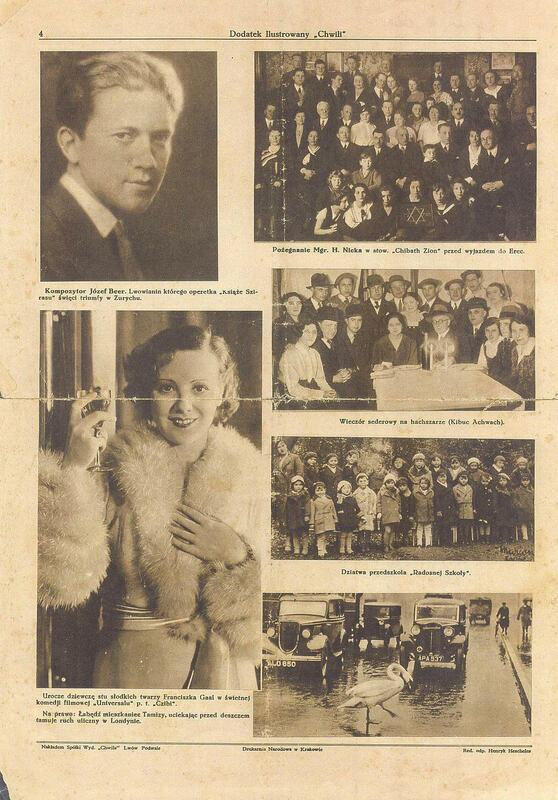 Joseph Beer featured in 1934 in a Polish Jewish newspaper. SL: It was a glimpse into the acclaim her father had had—when, as a young man, his second big work had taken off. BB: It premiered in Zurich Opera House in 1937 and went sweeping across Europe. And played in like 40 stages...translated in eight languages... there were plans for a premiere with Richard Tauber. SL: But within a year, the Nazis invaded Austria, and Beer went into hiding; his parents, sister, and librettist were all killed. 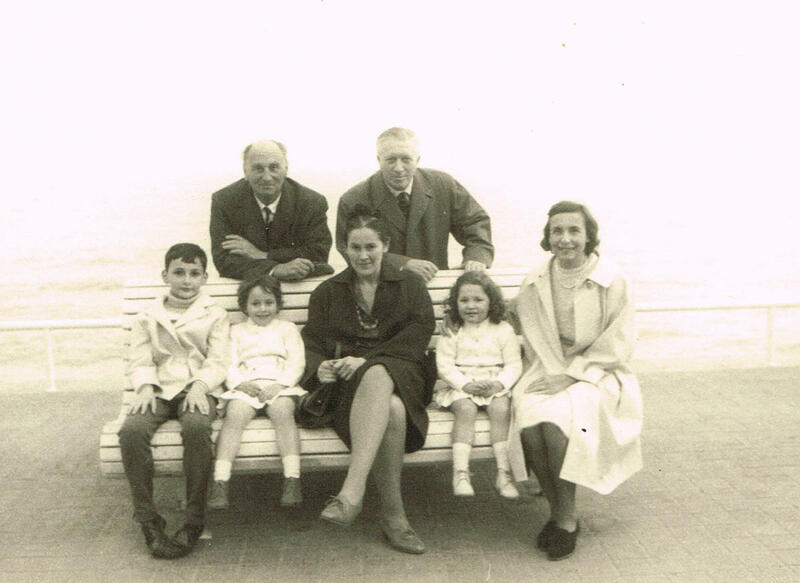 "My father left after the annexation of Austria by Nazi Germany on March 13, 1938. My father marched into his publisher and there were two Nazis who said Heil Hitler. He didn't say anything but he packed his bag and left. He told Fritz Lohner-Beda, who was his mentor and librettist, and helped him get the premiere at the Zurich Opera House—Go! Go!" Years after the war, Beer married, and had two daughters, and kept quiet about his earlier successes. He earned his doctorate from the Sorbonne, and worked decades on other large works, but forbade performances of Polish Wedding. BB: He would never mentioned all the glamor and all the fame he had seen as a young man, just bits and pieces. I think, you’ve heard of survivors guilt. He tried to save his parents. SL: After his death, his widow and daughters began promoting his music. Polish Wedding has been performed in Vienna and Germany, and recorded by the Munich Radio Orchestra. And as Beatrice says, there’s more to come. Among Beer's later works are Stradella in Venedig, which premiered at the Zurich Opera House in 1949, and La Polonaise and Mitternachtssonne, finished in 1977 and 1987, both of which were never published or performed on the opera stage. More about Joseph Beer.